Don’t take clean water for granted. Did you drink your eight glasses of water today? Did you take a shower? Partnership for the Delaware Estuary, the Delaware Nature Society, Delaware Center for Inland Bays, and the University of Delaware Water Resources Agency have joined together to educate people about clean water and water issues in Delaware. 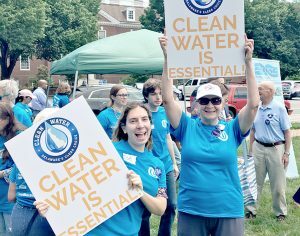 The Clean Water, Clear Choice campaign aims to secure funding for better water in Delaware. Clean water is critical for our health, wildlife and our economy. Groups and individuals have joined the Clean Water Alliance and Water Warriors to spread the message and fight for clean water!